The Southampton Animal Shelter Foundation is partnering with Montauk Brewing Co. for a month-long celebration of the bond between people and pets. 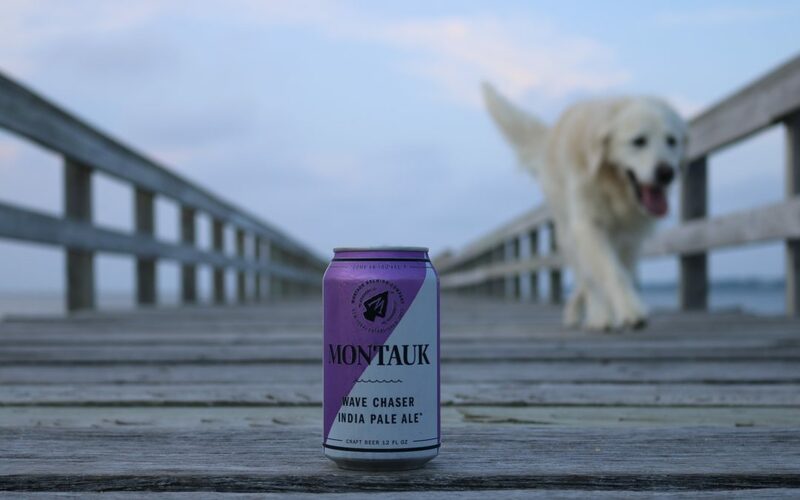 Throughout the month of March, Montauk Brewing Co. will dub one of their delicious beers the Tail Ale, and will donate a portion of the sales to our shelter pets! We will kick-off the partnership with a Pints for Paws Kick-off Party on Saturday, March 2nd from 1-4pm. Join us for a few brews and meet some of our amazing, adoptable pets! We hope to see you there! Thank you to our generous sponsors, The Independent and Whalebone Magazine, and to organizer Nikki on the Daily! 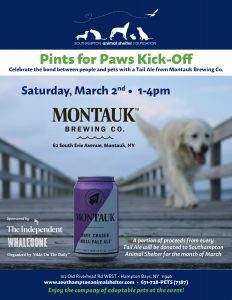 Even if you can’t make it to the Kick-off event, make sure to stop by Montauk Brewing Co. during the month of March and order a Tail Ale to support shelter pets!